From now on, all you will need in your institute, is a small and compact power device. Completely new on the market ! 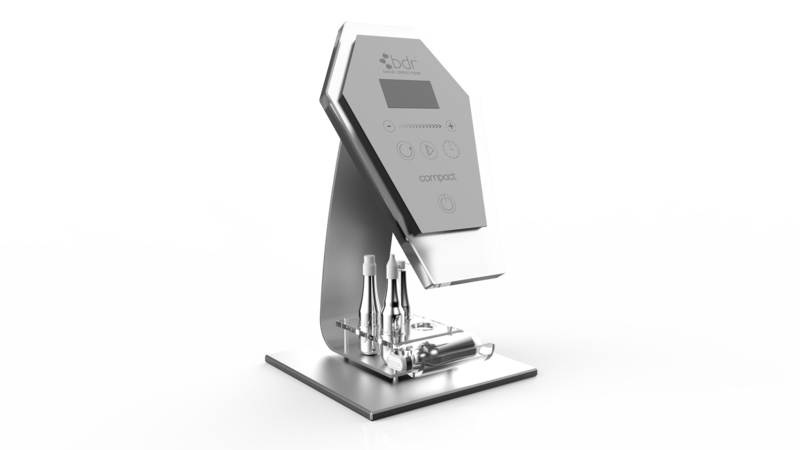 With the i Cube all handpieces of the bdr Medical Beauty concept can be controlled. Including Dermabrasion, Microneedling and Microstimulation furthermore even the Goldeneye Micropigmentation Handpiece including Microblading. The entire space of the Goldeneye World of Beauty is revealed to you providing over 130 techniques in the area of ​​micropigmentation and more than 60 options in the field of bdr. Innovative, small and easy to navigate, the i Cube takes you literally by hand and guides you through the settings of the free of charge app on your Android tablet. Never beauty was that smart, never before has cosmetics been so effective – possibilities, without limits, just in a single device. All up-dates of the software will be permanently free of charge. Stay flexible at all times – with the latest innovations from permanent make-up and medical beauty. 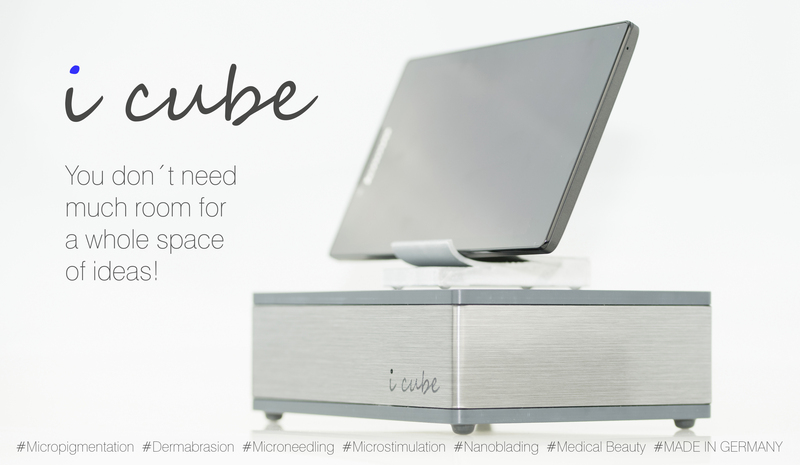 You have the talent, the knowledge, the dedication – the i Cube is your personal fusion of your heartfelt passion and professional Goldeneye technique. 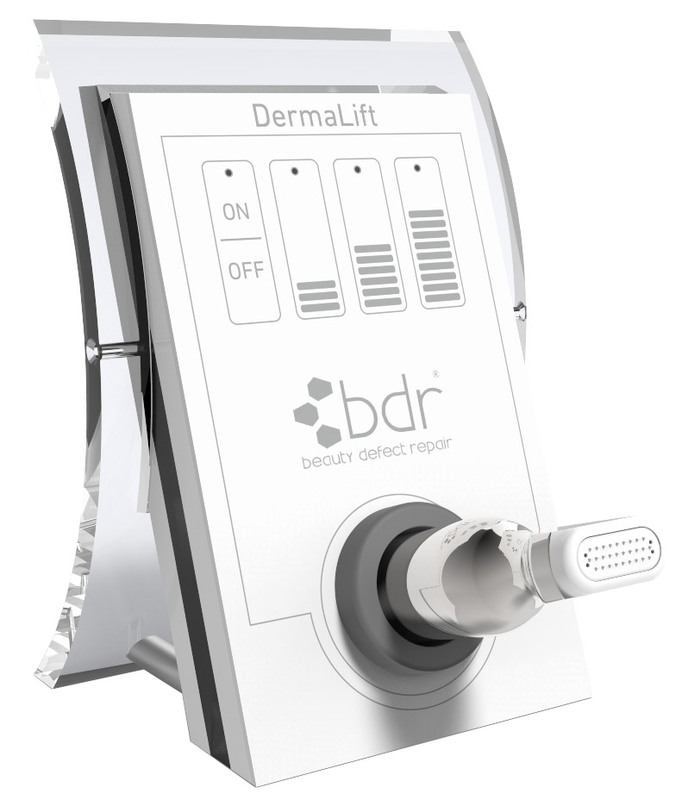 bdr Expert excels with new standards: equipable with all handpieces and external massage modules. All treatment processes, as well as individual beauty treatments are easily controlled with a large color touch screen. Boost your product sales with cleverly integrated program sequence and instantly retrievable products information at your finger tips. The choice is yours! A space-saving desktop unit version or a stylish and spacious unit with an exclusive, high quality crafted base and a white high-gloss piano paint finish. bdr Basic Compact system features an extremely easy to use, innovative touch panel with a wide variety of applications. The Profipeel dermabrasion handpiece ensures fantastically smooth skin with a gentle peel. Two distinctive stimulation handpieces, XL and XS, feature highly effective “needeling” for firm, smooth skin with a youthful and fresh complexion. The FAN handpiece, along with the 2-day training course in the Medical Beauty Academy, complete our treatment concept. 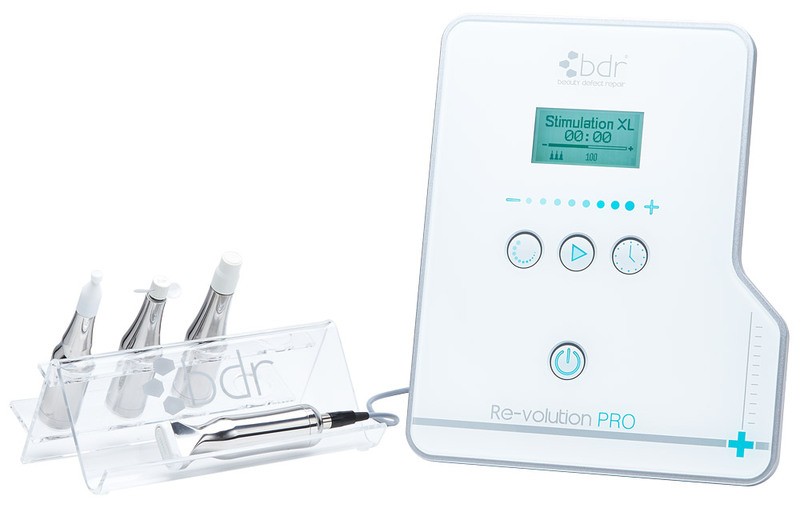 This handy device instantly turns your institute into an innovative anti-aging center! The modern, medically designed, space-saving, compact construction provides an extremely wide range of applications. Effortlessly operation with absolutely convincing results. Equipment system with the appropriate handle and accessories. Your choice: DermAbrasion, DermaLift, Body or DetoxTouch. The highly efficient results of blue Calming Light treatment are scientifically proven. Light-emitting diodes of a specific wavelength have an antibacterial (e.g. destruction of the porphyrin bacteria in acne) and inflammation-inhibiting effect. The release of serotonin, the „happiness hormon“, can be increased with a mood elevating effect. The cell-vitalization is increased and the skin appears smoother and more even. A calming effect can be expected for extremely dry and flaky skin.